Definitions and examples of Knee Joint Ultrasounds are presented in two views. 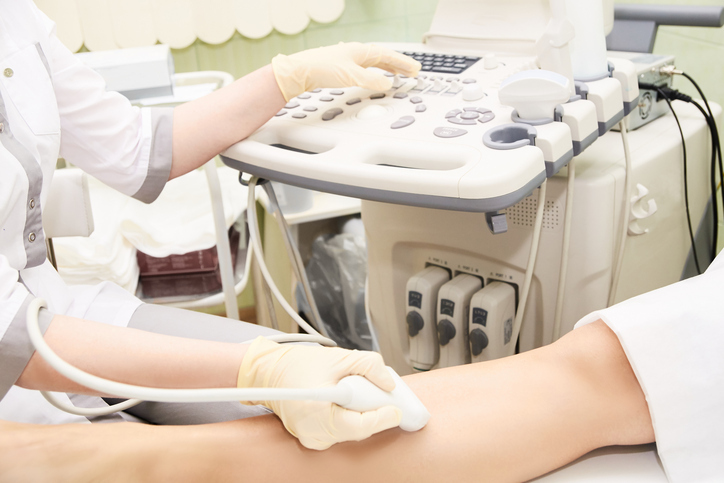 What are Knee Joint Ultrasounds? An ultrasound of the knee joint uses high frequency sound waves to create a live image from inside of a patient’s body. It is a painless test that is used in the medical field today. An ultrasound is also sometimes referred to as a sonogram, diagnostic sonography, or ultrasonography. The medical professional that performs an ultrasound is called a sonographer. A knee joint ultrasound can be used to guide doctors or surgeons during a procedure, such as a biopsy. They are important in planning for certain types of therapy and surgery, as well as in the aftermath to determine whether the patient’s body is responding to treatment. A knee joint ultrasound may be used to detect bulging of fluid from a swollen or inflamed knee joint. An ultrasound of the knee joint is taken after a muscle trauma or injury in or near the joint. 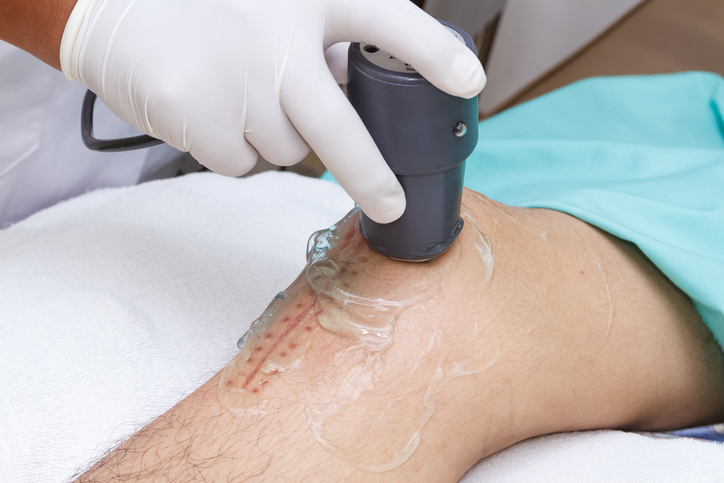 A knee joint ultrasound is taken to detect if there are lesions to the area. An ultrasound can be taken of the back of the knee joint to examine cysts as well. Above: Sonographers use a variety of techniques to get clear ultrasound images of the knees. Ultrasounds of knees are often done after a surgery. Above: Leg and knee ultrasound being performed on patient.